Celebrity restaurants are gaining prominence in the Indian market. Every other day, new food outlets are being opened by celebrities. Read to know what inspires the Indian celebrities to initiate a restaurant business and what its implications are. Indians love to gorge on sumptuous meals and with the appeal of a restaurant business a number of Indian celebrities from the world of movies, cricket, television and fashion are opening their own restaurant chains. To add to this, are the factors like contacts and fan-following that these celebrities have developed over the years that go very well in establishing their restaurant business. The craze to meet the celebrities also contributes to the success of celebrity restaurants. Moreover, visiting a celebrity restaurant for lunch or dinner enhances one’s status symbol. Almost every individual cherishes the dream of having an independent business. However, with financial or time constraints very few are able to realise it. But being a celebrity, finance is not much of a problem and thus they can think of taking up a restaurant business as a new business venture. 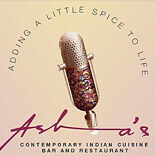 Some of the famous celebrity restaurants in India are Kapil Dev’s (Eleven’s), Dino Morea (Crepe Station), Sunil Shetty (Astro Mischief), Sachin Tendulkar (Tendulkar’s World), Asha Bhosle (Asha’s), Rohit Bal (Veda) and many more have opened their restaurants and lounges, where they give the common man a feel of luxury and comfort and also if luck has it, the opportunity to meet the celebrities face-to-face. The capital’s newly opened lounge LAP by Arjun Rampal had the city in awe and enjoyed much of the media’s limelight. The target clientele of these restaurants and lounges are from varied categories, from the rich and plush to the ordinary middle-class who is either fond of food or the celebrity that the restaurant is associated with. However, metros especially Mumbai and Delhi are the hub of such celebrity restaurants. No doubt, a celebrity while opening up his restaurant has added advantages for the success of a restaurant but that does not mean less hard work. Almost a similar kind of hard work and attention is required for the success of a celebrity restaurant as is required in the case of any other restaurant. It is important to pay attention and understand all the jobs involved in running a restaurant. The restaurant business will be a success depending upon the kind of effort, time and hard work the owner has put in. It holds true even in case of celebrities, after all, it is hard-earned money that has gone into starting a restaurant business. The best way forward for celebrities to open restaurants, is to tie up with professionals who have an adequate knowledge and experience to the make the business a success. Celebrity restaurants, though a western world’s concept, is slowly picking pace in India and we see many celebrity restaurants being launched in the coming future, much to the glee of the celeb-loving Indians.